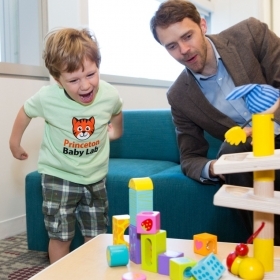 We are a research group at Princeton University studying how young children learn, and how their incredible ability to learn supports their development. 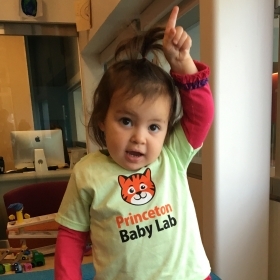 We invite you to visit the Princeton Baby Lab! Our studies are short, one-time visits that are fun for the whole family. Every child receives a special gift. You receive compensation for your time and can learn about our latest research into the developing mind. We have studies for infants and children from 0 to 7 years of age. Send us your contact information so we can answer any of your questions or find a time to schedule your visit! Download the 2018 Baby Lab Newsletter here! Get more information about participating in our research studies or to start to schedule your first visit to the Princeton Baby Lab!